His most known and celebrated films include the road drama ''Easy Rider'' (1969); the dramas ''Five Easy Pieces'' (1970) and ''One Flew Over the Cuckoo's Nest'' (1975); the comedy-dramas ''The Last Detail'' (1973), ''Terms of Endearment'' (1983), ''As Good as It Gets'' (1997), ''About Schmidt'' (2002), and ''The Bucket List'' (2007); the neo-noir mystery ''Chinatown'' (1974); the horror film ''The Shining'' (1980); the biopic ''Reds'' (1981); the fantasy comedy ''The Witches of Eastwick'' (1987); the superhero film ''Batman'' (1989) as the Joker; the legal drama ''A Few Good Men'' (1992); the romantic horror film ''Wolf'' (1994); the science fiction comedy ''Mars Attacks!'' (1996); the comedy ''Anger Management'' (2003); the romantic comedy ''Something's Gotta Give'' (2003); and the crime drama ''The Departed'' (2006). Nicholson has not acted in a film since ''How Do You Know'' in 2010, but does not consider himself to be retired. He has also directed three films, including ''The Two Jakes'' (1990), the sequel to ''Chinatown''. Nicholson's 12 Academy Award nominations make him the most nominated male actor in the Academy's history. Nicholson has won the Academy Award for Best Actor twice – one for the drama ''One Flew Over the Cuckoo's Nest'' (1975), and the other for the romantic comedy ''As Good as It Gets'' (1997). He also won the Academy Award for Best Supporting Actor for the comedy-drama ''Terms of Endearment'' (1983). 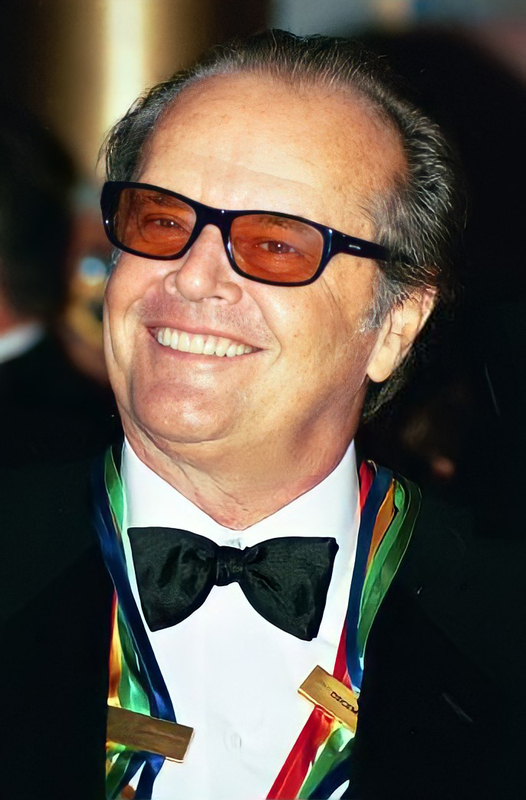 Nicholson is one of three male actors to win three Academy Awards. Nicholson is one of only two actors to be nominated for an Academy Award for acting in every decade from the 1960s to the 2000s; the other is Michael Caine. He has won six Golden Globe Awards, and received the Kennedy Center Honor in 2001. In 1994, at 57, he became one of the youngest actors to be awarded the American Film Institute's Life Achievement Award.